One of my favorite discoveries of the last year has been Sweden’s Alpaca Sports. The duo creates hook-laden pop that dares you to play the songs just once; I promise you that’s not a possibility. 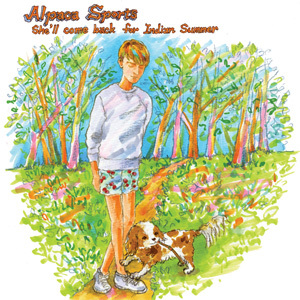 Lucky for all of us the group has been kind enough to let us stream their new single, “She’ll Come Back for Indian Summer,” which I sincerely hope is a Beat Happening reference. You can get your hands on the digital single on June 20th via Luxury, and then you’ll have it on your own stereo to play over and over again. Keep your eye on these guys, as there’ definitely going to be more gems from them coming our way soon. Also, you can check out a video for the single that just went up today by clicking HERE.